What is the EXPRESS Digital Plumbing Package? 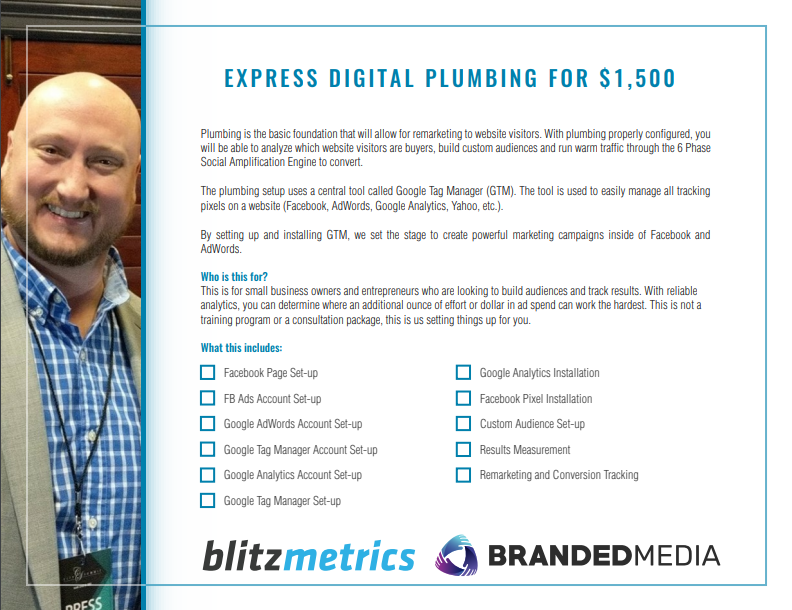 For $1500, our team of specialists will set-up your "digital plumbing" for you! After three weeks, we'll be able to track users who have interacted with YOUR page, clicked on a link YOU shared, signed up for YOUR newsletter or bought directly from YOUR website, and more. That's not all! This will also allow us to re-market YOUR content to website visitors: analyzing which website visitors are buyers, building custom audiences in Facebook, and running warm traffic through YOUR funnel. 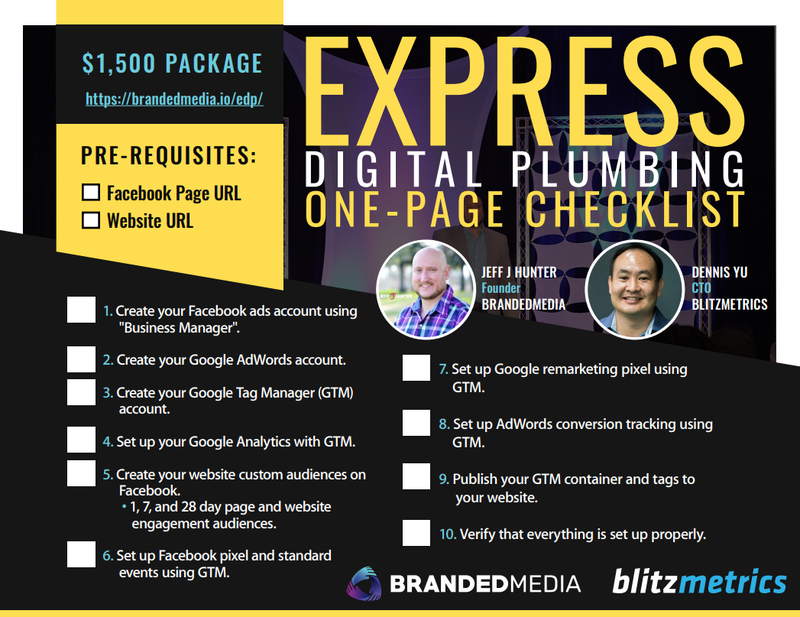 After you purchase the Express Digital Plumbing package, we'll need to understand your goals, content and targeting (GCT). You can complete our strategy "GCT" form immediately! As soon as you sign-up we'll be able to gauge what you're doing well, what you'll need to improve on and where we can intervene and help. We have this in place to ensure you that your hard-earned cash is put into good use. Create your Facebook Ads account using "Business Manager". Create your Google Tag Manager (GTM) account. Set up Google Analytics with GTM. Create your Website Custom Audience on Facebook. 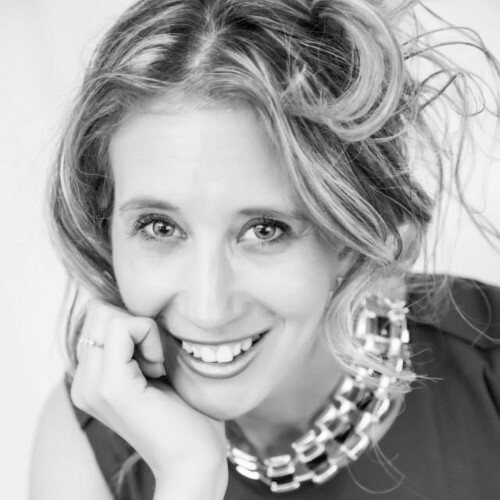 Set up Facebook Pixels & Standards Events with GTM. Set up Google Remarketing Pixel using GTM. Set up AdWords Conversion Tracking with GTM. Publish your GTM container and tags to website. Verify everything is set up correctly. Jeff and his team are amazing! They have worked hard to develop a clear strategy for increasing my online growth plan. Jeff has a proven track record of results and has a heart of gold. They are great at breaking down each step in the process, tracking results, and following through with what they say they will do. The entire team has integrity. 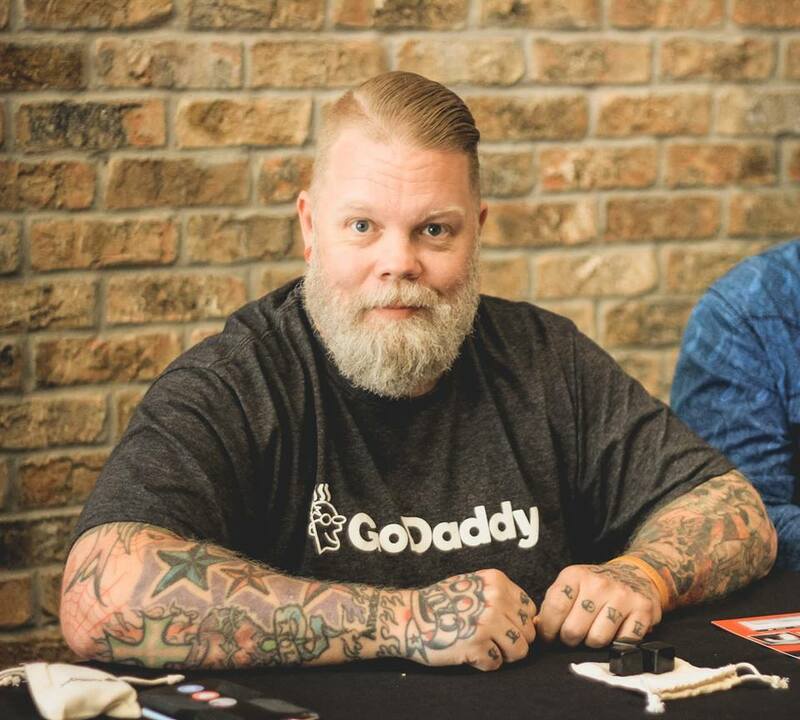 I highly recommend Jeff and the entire team if you want solid results from people you can trust.